Italian Gold – Extra Virgin Please | Help! I live with my Italian mother in law! Ok, you didn’t actually think that I was going to let an Olive Oil App slip by with only a mere mention did you? For €2,69, curious minds had to know what could possibly be useful in an app about olive oil. So, of course, I bought it! Now the truth is, I have an immense love of olive oil, after all, I break my back every Autumn to pick our own olives and reap the yummy organic goodness they deliver from the sweat of my brow. These are proud moments for my husband and I, and over the years I have learned a whole lot about the differences in various olive trees and the oil they produce. Italians are just as serious about their oil as they are about their wine. So, it goes without saying that there is in fact a lot to say about them! One fact about olives in Liguria is that the trees are much more difficult to harvest because they are spread out along hillsides and hence much harder to get to. For this reason, we labour out of love and respect and only for family use and gifts. To sell a bottle of our oil would never earn us a profit because the labour costs would be too high and we would have to charge €30 a bottle. So, why is this App useful? Well, I guess if you’re a foodie this could be an interesting little guide. In fact, I have developed a new respect for olive oil for the endless list of good it provides. The app also points you in the right direction with an interactive map, should you decide to tour olive country on your next Italian holiday. 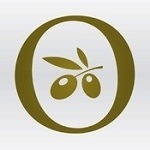 It also offers useful recipes and links to all things olive. I have yet to come across what the subtle differences are between taste from region to region but I’m sure it must be in there somewhere with a list of reasons why too. Of course my most exciting discovery from this App was learning about oil wrestling! Apparently, it’s even an Olympic sport! Really? Why is it never televised? Whose the world champion? Is he Italian? Ohhhhh, so many questions…so little time. This entry was posted in Food, Italian Culture, Nature, Tourists, travel and tagged gmo's, harvest, history, Italy, oil app, olive oil, Olympic olive oil wrestling, pesticides, recipe. Bookmark the permalink. I think I was born a few centuries short of a millennium to enjoy ring side seats to that venue!